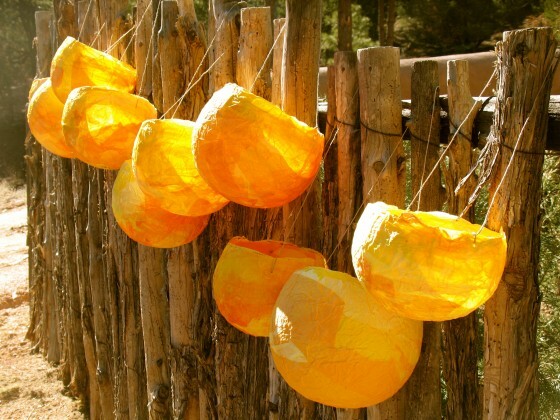 This year for our home school lantern walk, we made paper mache lanterns. We blew up balloons, then covered them with colored tissue and crepe paper, which had been dipped in a water and glue mixture. After they were dry we punched two holes in them and strung them with twine. 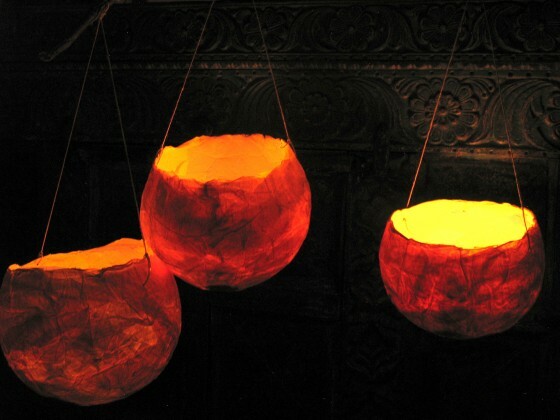 With candle light glowing through, they have the effect of a golden cocoon that was spun by a magic caterpillar.